The mysterious, secret and energizing connection between human beings and the natural world is the subject of CODA, an installation by Lisa Kinoshita, on view at the Woolworth Building through October 31. In a stark white room, a herd of wild stags crashes through the field of consciousness, where a hospital bed lies empty and white snow fills a television screen. The powerful and indifferent vitality of nature is juxtaposed with an image of individual human mortality. Or is it? Kinoshita asks viewers to decipher the meanings of objects that create disquieting associations – strewn flashlights, a broken plaster hand, a wooden stool suspended by a rope noose. “There’s something people instinctively grasp when they look at wild creatures; that we are a part of nature and the life process, and not the other way around. It makes human life seem more poignant,” she says. She finds inspiration for her narratives in artists such as Joseph Beuys, and works such as the 1965 performance, How to Explain Pictures to a Dead Hare, in which the artist, his face masked in honey and gold leaf, cradles a deceased hare while carrying it through a roomful of drawings, whispering to it tenderly and lifting it up to the pieces. The work is ripe with symbolism (honey combined with gold transforms the head as a vessel for the creation of thought, in Beuys’ lexicon). CODA represents man and creature in their final, numinous surge, locked in a fixed environment yet separate. “Beuys said that ‘everyone consciously or unconsciously recognizes the problem of explaining things, particularly where art and creative work are concerned, or anything that involves a certain mystery or question. The idea of explaining to an animal conveys a sense of the secrecy of the world and of existence that appeals to the imagination. 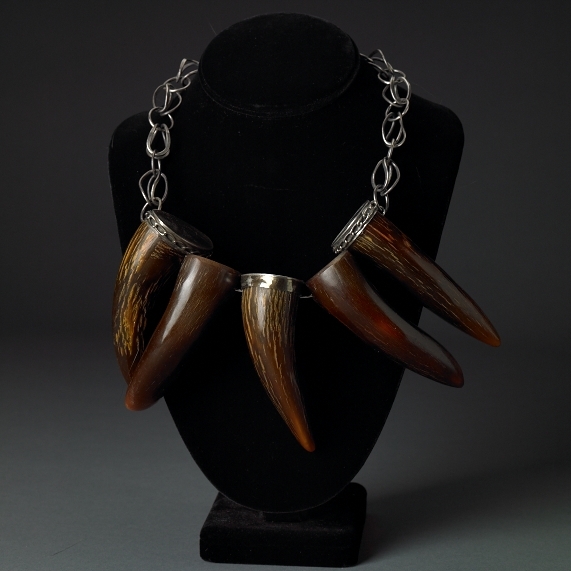 Even a dead animal preserves more powers of intuition than some human beings’ with their rationality.” Kinoshita, who is also a jewelry artist, incorporates natural objects such as bone, raw crystal and petrified wood in her bench work. 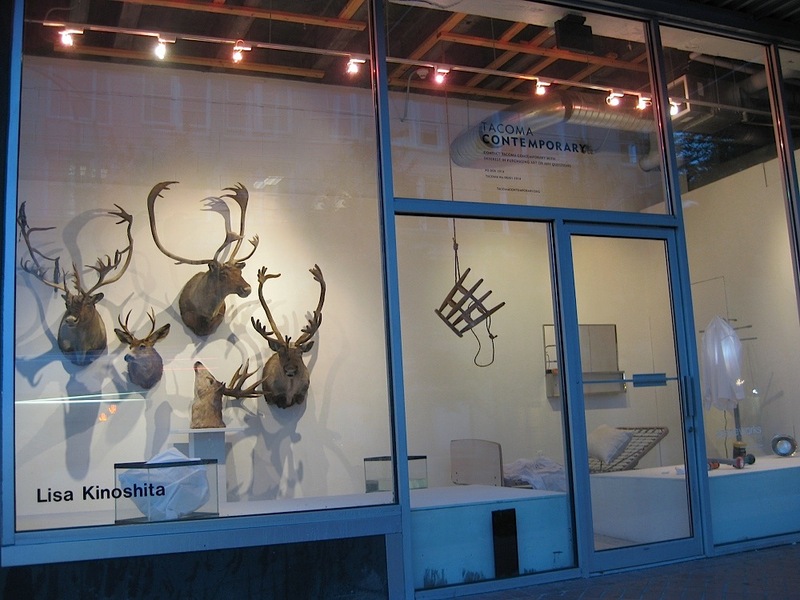 Great article and photos re: Lisa Kinoshita’s latest installation. Very interesting. 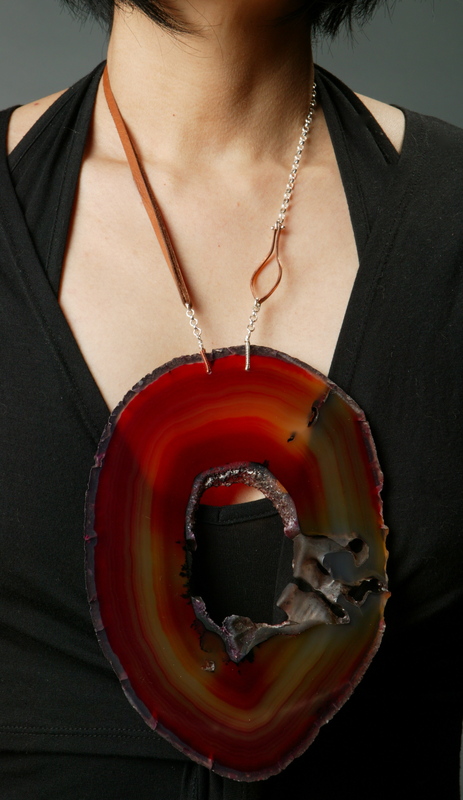 I am a big fan of Lisa Kinoshita’s work; I own many beautiful pieces of her jewelry: earrings/ bracelets/ necklaces and a black onyx ring. She is extremely talented.